Needles and Hooks and Books, Oh My! 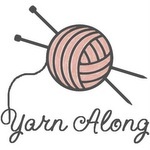 A place to find musings about current projects, both knitting and crocheting, and the books I am reading. I'm a planner. I've made these July goals to guide my crafting for the month, and they are a bit lighter than my normal monthly craft goals because I know the next 2 month will be busy. However, I find it is still worth it. I just need to hold myself more accountable to checking back every once in a while to make sure I am staying on track. I love my stash of yarn, but I don't want to move it all. So the idea is to use up as much as I can, and start fresh in my new apartment. Hopefully it will work. I love knowing that you stopped by! Hi! I'm Mary! 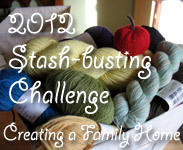 I'm a teacher, wife, knitter, crocheter, reader, and mother. I talk about my work, what I'm reading, what I'm crafting, and life in general. Ripples and Grannies Afghan on Instagram! Hello from the outside, at least I can say that I tried.